and provide trustworthy banking products/services to customers. Digital Transformation is the future of the Banking Industry. This is indicated by upcoming trends and digital initiatives like Mobile Wallets, P2P transfers, Ping Pay, Omni Channel Banking etc. As per a new report titled ‘Retail Banking: Digital Transformation & Disruptor Opportunities 2016-2021’ from Juniper Research, the number of mobile banking users will reach two billion worldwide by 2022. The banking domain is replete with ever changing and cutting-edge technology, with ever more intricate functionality intertwined into applications. Business Continuity, Service Delivery, and Performance are key aspects that need to be kept in mind for improving and increasing RoI. Banking is at the center of all commercial activity. Banks also have their own mammoth functional frameworks spread across Core Banking, Delivery Channels, Card and Payment Gateways, Specialized service offerings such as Corporate Banking, Centralized Banking, and so on. Transactional accuracy, ease of access, availability, and performance are key to any application in this sphere. Digital Banking – Today, banks have a huge digital presence and as consumers adopt new technology, customers are increasingly demanding 24/7 access. There is an emerging trend for digital-only banks with zero-branch presence. The challenge is to offer complete functionality in the minimal and highly diverse front-end of a mobile, along with the best usability and compatibility experience. Banking & Technology Edge – Core Banking systems have a wide spectrum of business functionalities. Any technology partner should have a team of SMEs, with in-depth domain knowledge and experience. Mobile and browser technology fragmentation, end-to-end validation of both front/back-end systems, and ensuring a consistent multi-channel delivery experience are just some of the many aspects that may need be considered. Performance Failures – Certain time-based events create a spike across the Banking/Payment portals. Performance failures in banking portals can have a serious effect on the consumer. Tuning the products to reach the required performance levels requires robust infrastructure, connectivity, and seamless integration into the backend systems. Web Security – Banking portals, by their very nature, are prime targets for hacking and fraudulent activities. Vulnerability scanners and penetration testing can reveal significant system vulnerabilities. Code level reviews can also identify weaknesses. Compliance to international security standards such as PCI DSS is very important. Regulatory & Compliance – Regulation of Banks is a mandatory and business-critical requirement. With BASEL IV, MiFID II, GDPR, and new Money Laundering directives arriving all the time, there is an endless wave of new regulatory issues to address. Complying with these multifarious regulations entails huge expense and effort on the part of the banks, and a trusted and proven partner can save significant money and time. Core Banking Transformations including various modules such as Deposits, Loans, Term Finance, Treasury, and so on. Fund Transfers through various modes such as NEFT, RTGS, IMPS, and Bill Payments. Compliance with various regulations like BASEL, BCBS 239, SEPA, AML, FATCA, etc. Payments/Remittances including Cross Border and multi-currency transactions. Various delivery channels like Internet, Mobile, Mobile App, etc. Recent trends such as eWallets and Self Service Technologies. Cigniti, with its experience of being the testing partner for pioneering mobile-only banks in US & UK, has vindicated its capabilities in Omni-channel Banking. Cigniti is associated as testing partner with leaders in the Banking space across the functional spectrum like retail banking, corporate banking, mortgages, cards and payments. Cigniti has tested across diverse industry standard products like T24, Finacle, Flexcube, Bancs24, and Vision Plus. Cigniti with its repertoire of proprietary tools, reusable artefacts and automation framework can positively impact your time to market. With its in-depth domain understanding, Cigniti assures a consistent pleasant user experience to your customers across all channels. Cigniti has successfully delivered testing services for nearly 20 years, implementing its Test Center of Excellence, delivering Managed Testing Services, and providing end-to-end testing services for leading banking companies across multiple geographies. Our client testimonials and recognition by leading industry analysts are proof of our reliability and capabilities. Cigniti’s dedicated Banking Domain Competency Group (DCG) furthers our thought leadership in the Banking functional and technology landscape. It facilitates effective delivery through an experienced pool of top quality test consultants who are industry SMEs and certified professionals. Cigniti’s dedicated DCGs concentrate on the training and development of resources within these domains to ensure the highest standards of quality. More than 50% of our testing professionals are Certified Software Testing professionals with CSTE and ISTQB, and are equipped with relevant Industry certifications while having in-depth domain expertise. Cigniti with its acclaimed experience in the Banking space has proven tools and accelerators that can positively impact the effort involved and help reduce the time to market for its clients. Cigniti’s Banking DCG has engineered Delimit-Ex, a one-step solution to decrypt and read complex financial files such as EFT and ABA. Delimit-Ex reduces the pain involved in decoding financial files by automatically decrypting the files and exporting them in a readable format. This reduces the testing time by around 40% and the tester can focus on finding defects and not worry about reading the files. The tool is also reverse engineered to create test files in various formats and is embedded with basic auto validation capabilities. 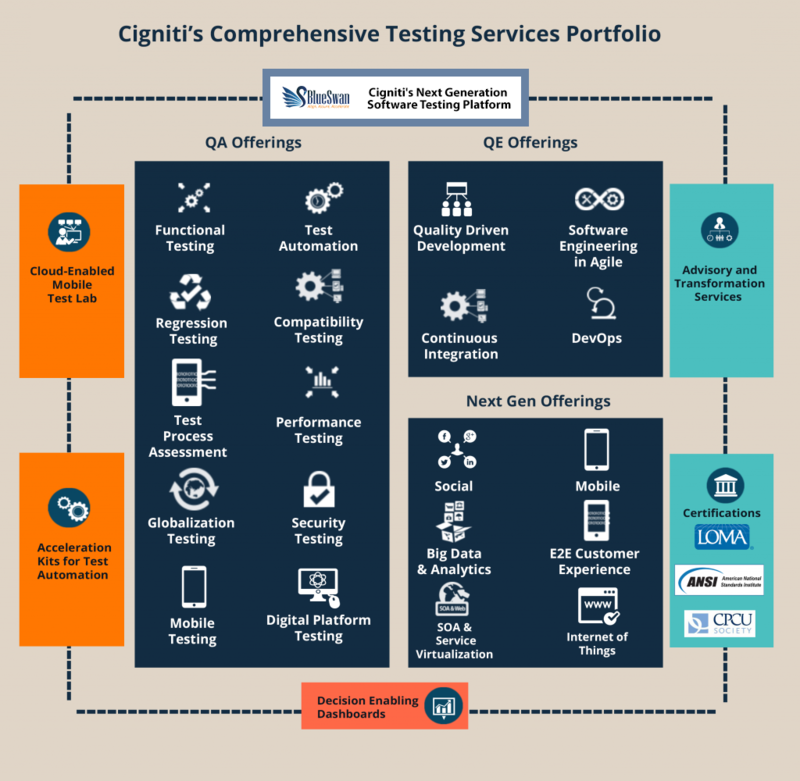 Cigniti has leveraged its extensive experience of testing banking applications and has come out with a generic ready to use Test Repository. This comprises of test scenarios for key standard business flows that result in high reusability and quick transition. This can enable testers to jump-start their testing efforts and significantly reduce the time it takes to ramp up new projects. We currently have around 10,000+ test cases encompassing various Banking modules like Account creation, Deposits, Loans, Payments, Mortgages, etc. Cigniti’s Test Automation Framework (CTAF) is a tool agnostic framework and can be used across multiple applications / mobile devices with minimal re-work. 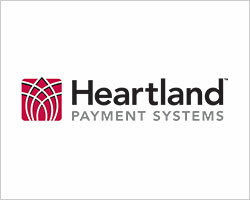 Cigniti is also in partnership with HP and has delivered QA Automation solutions to over 30+ satisfied banking customers. This framework is reusable & modular, reducing effort by around 25%. It enables test teams to jump-start test events around 30% faster to deliver solutions quickly and realize greater ROI. The framework is also pro-agile with CI tools such as Jenkins, etc. How is the Impact of Digital Assurance a measure of success for Banks? What makes Software Testing so critical for Banking Applications? Is your Banking App not crash-proof? Here’s what you can do! — Pete Redshaw, managing VP at Gartner.